Christmas Countdown Day 11 focused on the name of Jesus. As Joseph slept, an angel spoke to his heart. 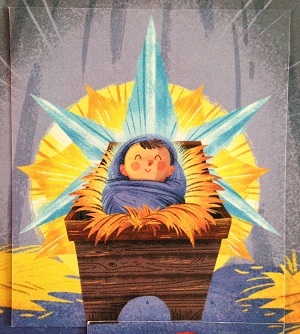 Joseph was introduced to the name he would give his adopted son: Jesus. That beautiful name means “to save”, and the angel told Joseph that Jesus would save us from our sins. The Gospel writer Matthew follows up this dream by referencing the prophet Isaiah, who called the Messiah the name Emmanuel, which means “God with us.” Our ornament today was made out of the name of Jesus. As we talked together as a family, we thanked Jesus for coming to be with us and save us!